The first picture to the left below is the suit recently made for Jeff Walston. 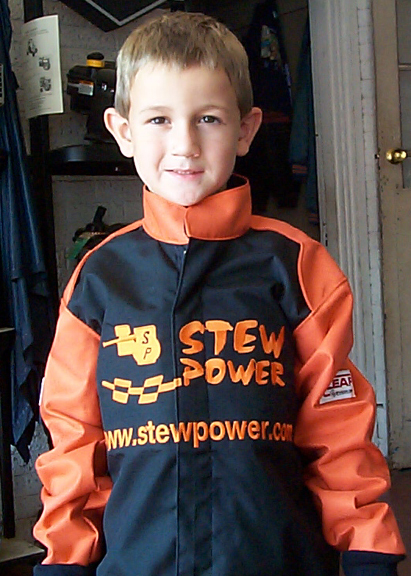 Next to it are one of the jackets we provided for StewPower and Derek Riley. 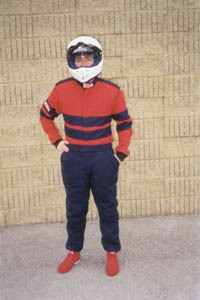 LEAF RACEWEAR offers driving suits in many styles materials. 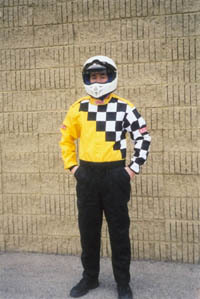 Suits can be constructed of PROBAN, Single, Double, or Triple layer Nomex as wells as Cordura for the karting industry. There are so many options and variations that we can only show a few on this site. 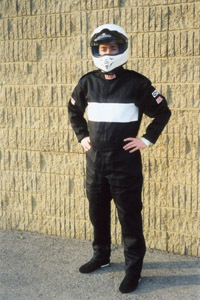 If you are wondering the differences in Proban and Nomex, please click here. 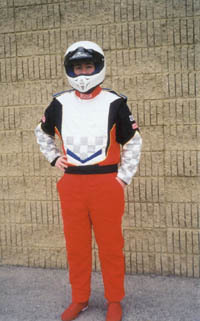 Proban suits will pass WKA Tech on suit requirements for Champ Kart Drivers. 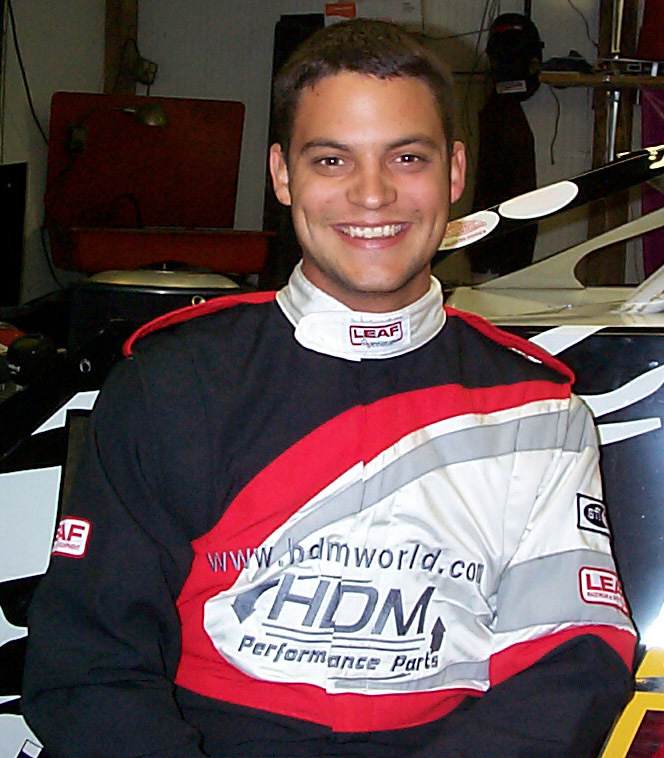 If you decide to contact Leaf Racewear's website directly be sure to tell them you dealing with HDM. If you would like a quote on a custom suit, please download this form, fill it out and fax it to Leaf at (519) 453-5460. You can also fill it out online and email it to back to HDM. Remember to measure correctly, HDM nor Leaf Racewear will be held responsible for incorrect measurements. If you are interested in a "stock" suits and jackets, here are the standard sizes. If you have any questions regarding suits or jackets, please email us... we will be glad to help.